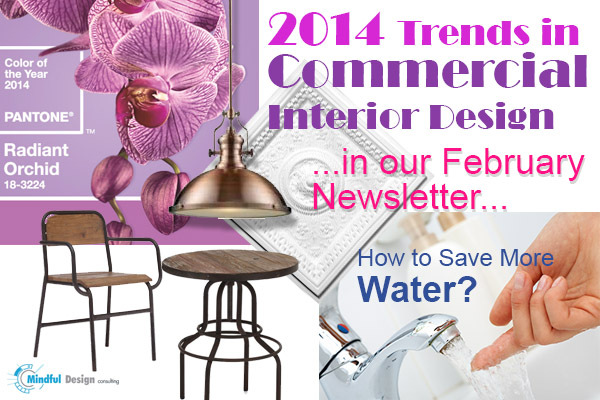 Check out our Commercial Interior Design February 2014 newsletter! In this issue I would like to share 6 of my favorite most exciting emerging trends in commercial interior design this year. Click HERE.